The color of the Earth is widely used in the interior because of the warm relaxing aura it can give. It is used not just in living spaces but even in private sleeping areas. When we talk about Earth tones, it would include brown, beige and even green and blue. Well, think nature and you will get the right tones. We will be showcasing bedrooms with this color pallet but this isn’t just any bedrooms because said colors are incorporated into contemporary interiors. We come to think that contemporary style and Earth colors are married to each other because they are really a perfect combo. The wooden materials paired with the colors of nature create an atmosphere that would make sleeping and relaxing even more satisfying. 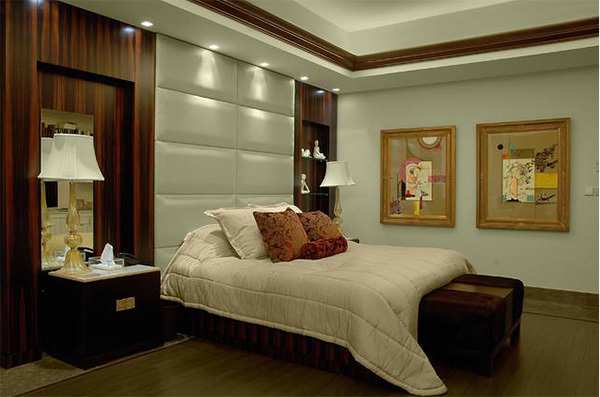 So if you want to get a bedroom with this kind of aura, check out the list we have below for ideas on how to do it. 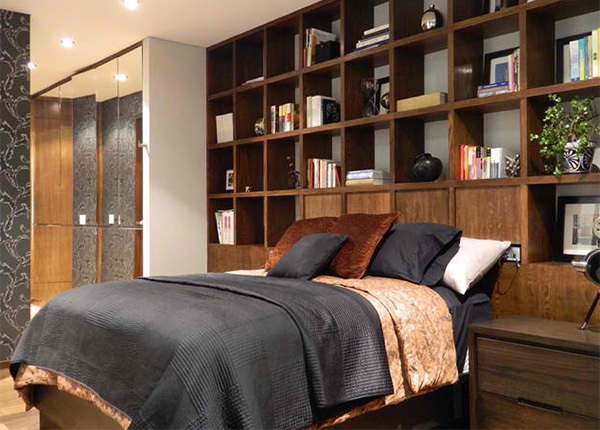 The chocolate brown upholstered walls made all the difference in this bedroom. Adding some gold throw pillows on the bed added some glamour to the space. 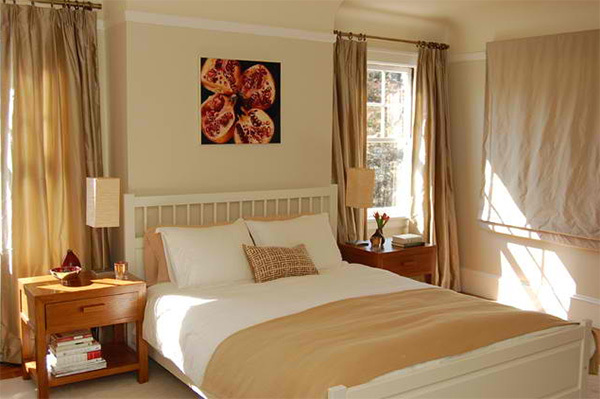 The bed was from Williams Sonoma Home which looked pretty with all the browns in the bedroom from the bed cover. sheepskin area rug and wall art. 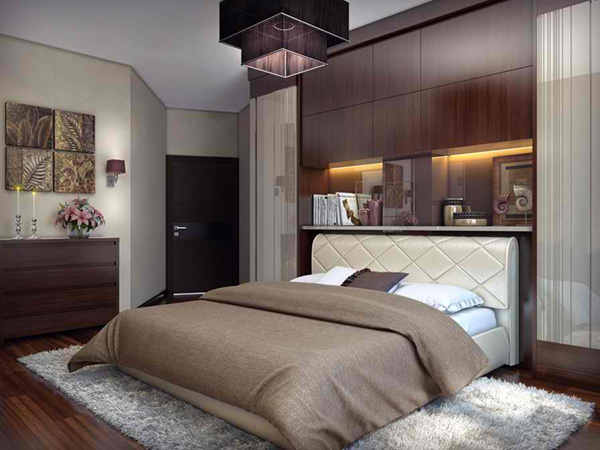 Don’t you just love this sleek contemporary bedroom? Aside from the chocolate brown wall on one side, that wall sconce and the addition of green pillows is just amazing. 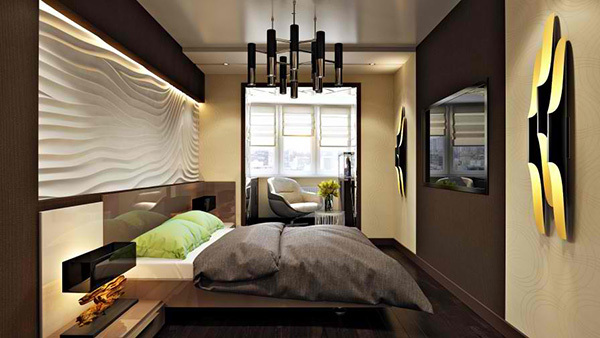 Isn’t this a beautiful contemporary bedroom? With wood around it and some nature inspired decors, it sure kept close to nature’s beauty. Brushed Aluminum Ball Fan looks simple and slim but it is a good choice since it did not steal the spotlight that the bed deserves. The Zara Home bedding added some dark shade to this bedroom. It is creative to combine the headboard with some built-on cubby storage. 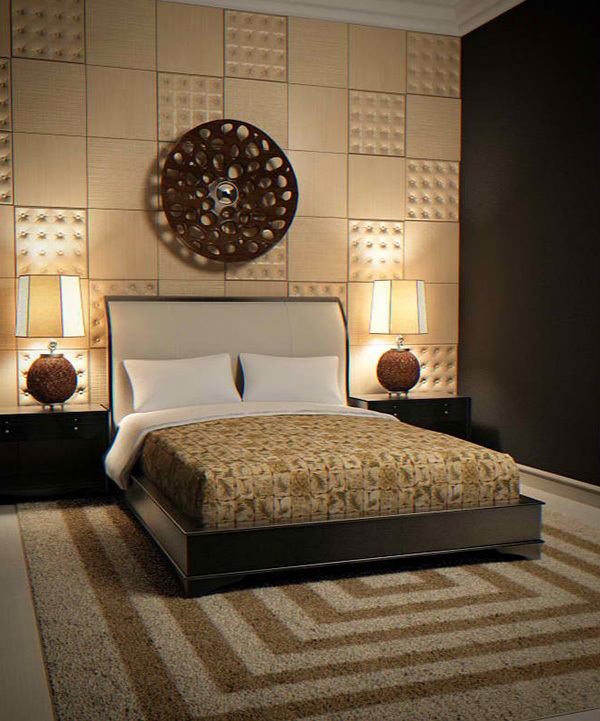 We love the walls of the bedroom with different textures in it. We can see different patterns here but it didn’t look noisy. 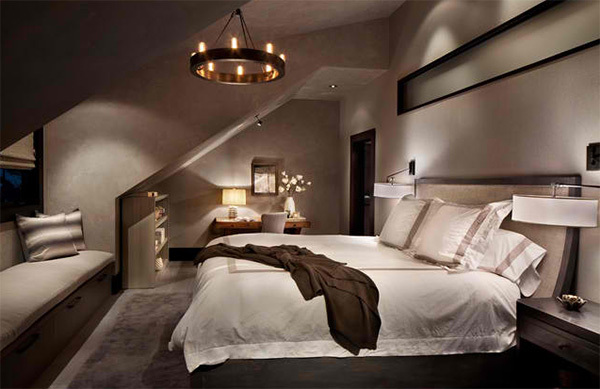 A bedroom that has sloped ceiling can still look airy in earth tones. It also looks dramatic with the lighting in it. This bedroom has a perfectly balanced look in its application of earthy textures against high-gloss finishes, and raw material against refined elements. The brick walls on one side and the green colors in it set the Earthy tone in this interior. The artworks in the wall are very creative giving an artistic flare to the space. With or without the tree glass etching or decal, this bedroom is exuding too much sophistication that will urge you to jump into the bed! 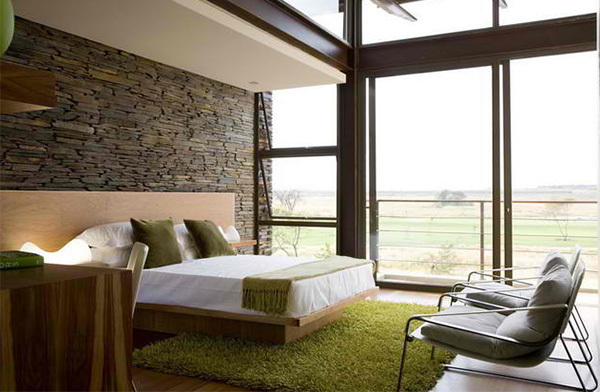 The windows that surround the bedroom allow more light to get into the space and touch its lovely earth colors inside. Light tan colors could also be good if you want to do away with dark earth tones. 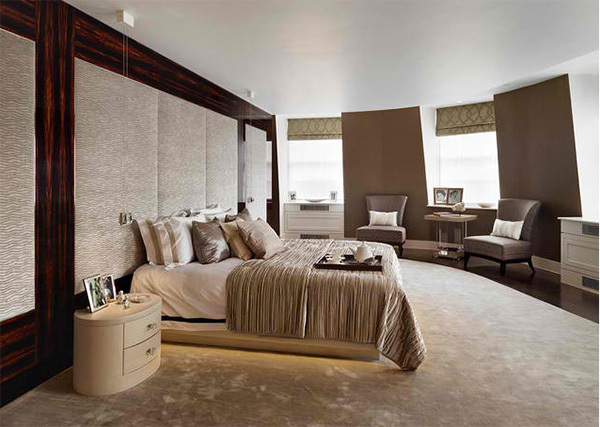 The contemporary design details and the aubergine day bed in two tone wood bed frame anchor the master bedroom for a serene private hub. 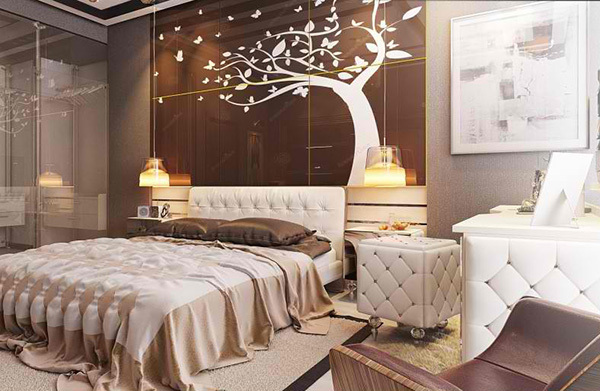 Who says a bedroom with earth tones cannot be as fun as this one? 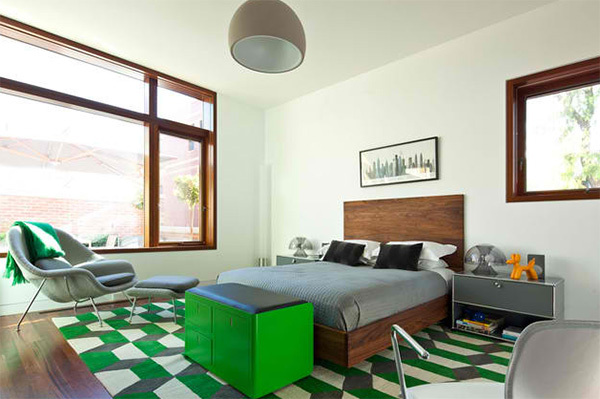 You can always add greens in it like what is done in this bedroom. Quite a list, right? We are sure you liked the bedroom designs above same as how you loved the modern bedrooms that we have showcased before. Have you thought of a way to bring in nature to your very own bedroom? Aside from using earth colors, you can as well add decors that are nature themed or are made from organic materials. Adding some plants is also a good way to freshen up the look of your bedroom.